Hi all! Hope you're all well and still enjoying the sunshine. 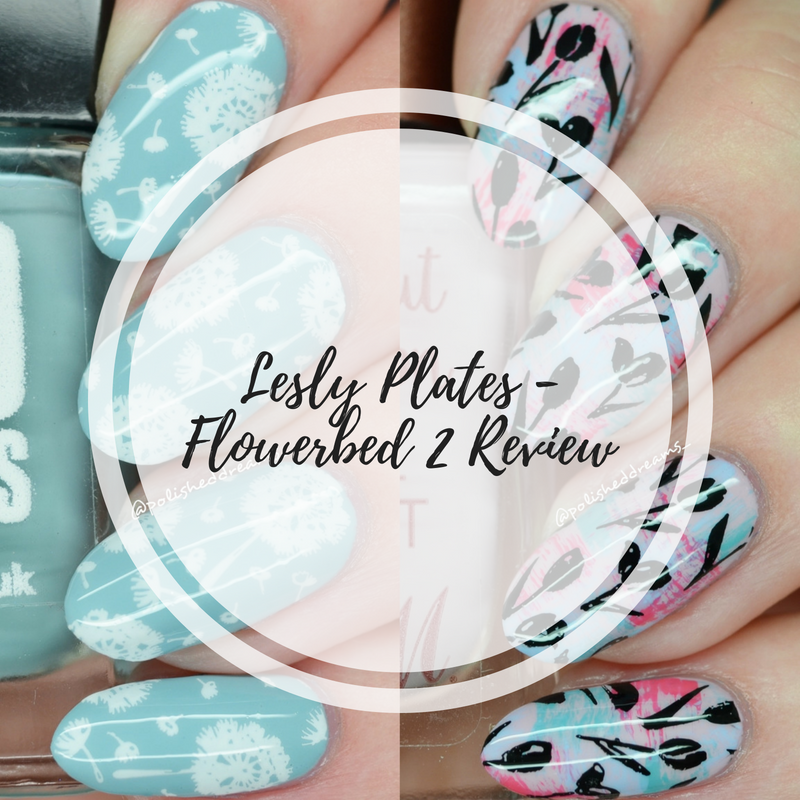 Today I have another plate review for you and this was sent to me by the lovely Gemma from Nail Art UK. The stamping plate I have to share is Lesly Flowerbed 2 and is actually the first Lesly plate I've owned. I've seen them being used by other nail artists on Instagram but never thought to buy some for whatever reason. Probably my lack of money due to being a student! Let's crack on and see what I thought shall we? As suggested by the name, this plate is filled with lovely images of various flowers, leaves and plants. 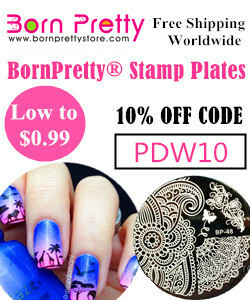 The picture below shows what the plate looks like and I've taken it from the Nail Art UK website. For my first design I decided to go for something that was simple but would hopefully look quite pretty. I chose the dandelion image on the third row and stamped it using MoYou London 'White Knight' over a base of 'Maya' from 'Ard As Nails. The image picked up super well straight away which I was really impressed with, especially as I hadn't used 'White Knight' for agessss. The only issue I had was when I was cleaning the plate with polish remover on a cotton wool pad, same as I usually do. The etching seemed almost spiky so bits of fluff from the cotton pad got stuck to the images. This resulted in me having to rub the plate with my finger each time to try and make sure the fluff was all gone before I reapplied polish to stamp the next image. Despite that, I'm pleased with how this cute dandelion design came out. 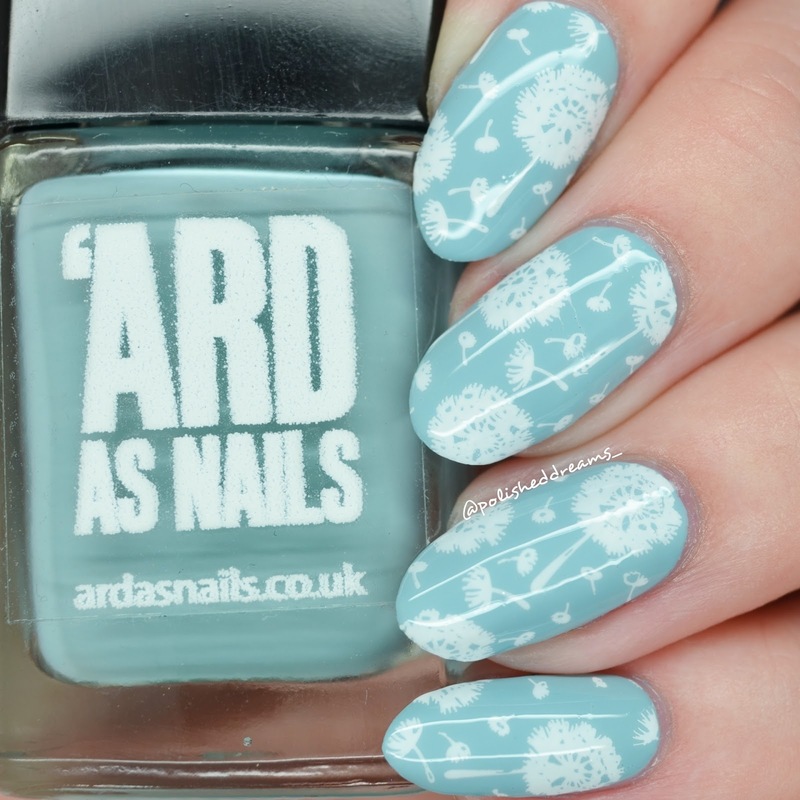 I've wanted dandelions on my nails for ages! For the second design, I thought that I would do a more jazzy base. As I tend to sway towards gradients and smoosh mani's, I decided to do a dry brush instead. To be honest, I have absolutely no idea when I last did a dry brush mani! I used all Barry M Coconut Infusion polishes and started with a light pink base using 'Surfboard', then did the dry brush on top with 'Aloha', 'Laguna' and 'Scuba'. 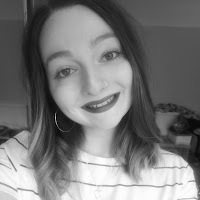 I really loved the outcome and I'm a little bit disappointed that I didn't take any individual photos... Hey ho, bit late now! For the stamping I used Painted Polish 'Midnight Mischief' from Rainbow Connection and the tulip image on the very first row of the plate. Well what do you think eh? 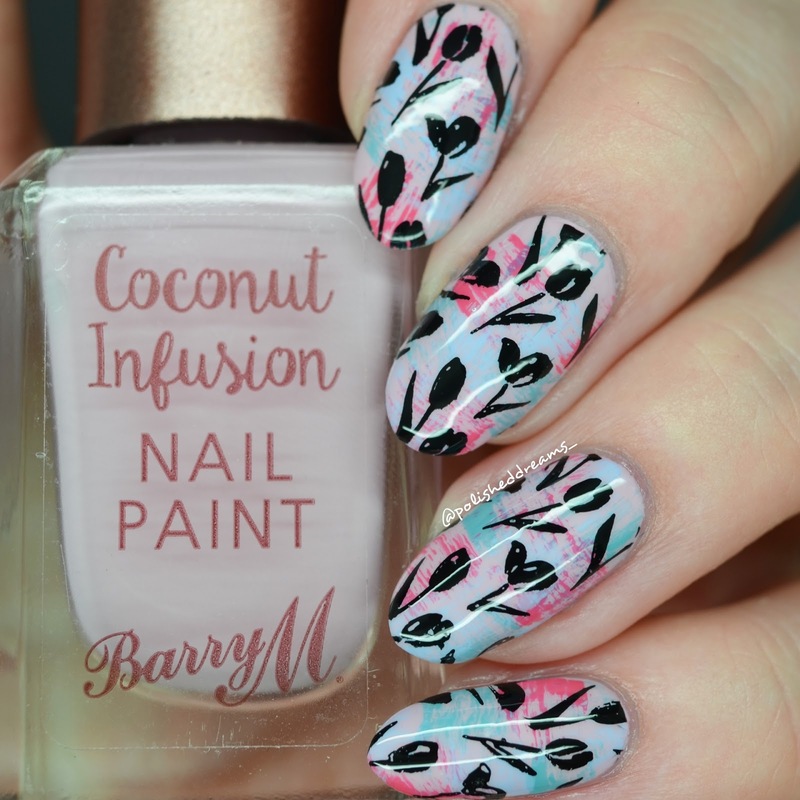 I love these two mani's! They're both pretty easy to do but look so cute and pretty. This has also taught me that I need to dry brush mani's a lot more! 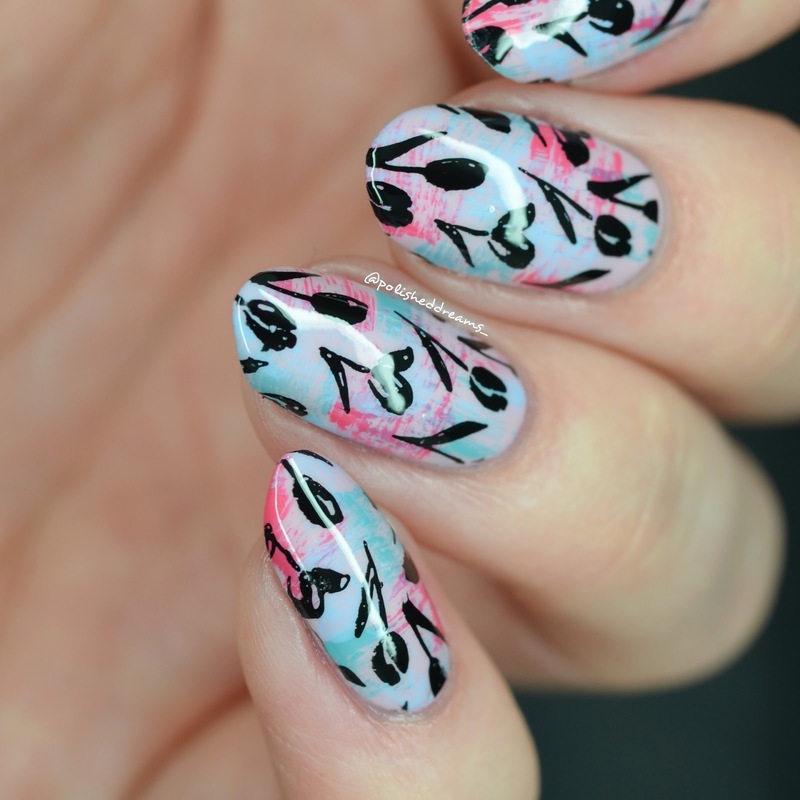 In terms of the stamping plate, I liked the designs and how well they pick up but having the fluff get stuck to it was a bit of a pain. As I said before, this was my first Lesly plate so I don't know if it's the same for all of them. I feel like if it was, I would have heard about it before though right?